After his visit to Japan in 1916, the Russian poet Konstantin Dmitrievich Balmont (1867–1942) went on to publish some of the first Russian translations of no fewer than fifty tanka and twenty-four hokku between 1916 and 1923. He was able to accomplish this by means of a crib – a 1912 volume of prose translations compiled by Yamaguchi Moichi (1883–1920), which was the first publication of classical Japanese poetry translated directly into Russian. Along with Balmont’s essays on Japanese culture and his reception in the Japanese press, this paper brings together Balmont’s poetic translations, Moichi’s prose translations, and the original Japanese poems on which they are based in an investigation of how the two translators understood and navigated the disparate but common sensibilities between their two cultures. Even in the aftermath of war between Russia and Japan, Balmont and Moichi shared a primary concern in educating their readership in the appreciation of beauty, a goal that ultimately superseded geopolitical considerations. I contextualize these translations not only in the history of Russo-Japanese cultural exchange, but also in Balmont’s broader philosophy of art. In Japanese literary studies, it is a commonplace to note that the Russian writer Leo Tolstoy (1828-1910) had a formative political and literary influence on the Japanese writer. Arishima Takeo (1878-1923). However, as with most claims about “influence,” difficulties arise whenever anyone attempts to construct a positive historical account of what these influences were and how these influences operated. This paper advances the speculative claims that in the spring of 1918, Arishima contracted a weaker, early variant of the later 1918 pandemic influenza, and further, that Arishima’s period of illness and convalescence had a decisive effect on his understanding of Tolstoy’s pacifist writings. The object of the paper is less to prove these speculations than to use them as heuristics to draw out Arishima and Tolstoy’s mutual interests in viewing the vectors for infectious disease transmission as analogous to the infective possibilities of literature within the broader body of humanity. Vassily Eroshenko and Akita Ujaku, a blind Ukranian and a Japanese playwright, formed a close friendship when they met in early Taisho Tokyo. For Akita, this roused him out of a depression tied to his lack of professional success and led to a lifelong interest in the planned language, Esperanto. Although Eroshenko left Japan for the last time in the early 1920s, the two were reunited when Akita travelled to Moscow to participate in the 1927 celebrations of the 10th Anniversary of the October Revolution. Whilst Akita found the main events too militaristic for his tastes, away from the official program he made personal connections: singing La Espero (the Esperanto anthem) as he crossed into the Soviet Union, catching up with his old friend, attending meetings, and receiving invitations into ordinary Russians’ homes. Friendship, then, formed an alternative means of forming bonds across borders, beyond diplomacy or even revolutionary politics. The status of France as an iconic land of culture and revolution attracted numerous Japanese travelers in the modern period. When student Komaki Ōmi reached Paris in 1910, he learnt French and forged acquaintances with prominent figures of the French artistic left. When radical thinker Ishikawa Sanshirō began a lengthy stay in France four years later, he likewise learnt the language and participated in local anarchist activism. But for both men, the country also became the site of Russian encounters. Through their French hosts, they met with Russian exiles and revolutionaries, and engaged with Russian literature and political ideas. These Japanese sought Russia in France as they explored the meaning of solidarity, whether expressed in proletarian art, the notion of ‘mutual aid’ or farmers’ movements. Their encounter with Russia was mediated by French thought, language and cultural practices, and informed the kind of activism they resumed once back in Japan in the 1920s. And although the 1917 Bolshevik Revolution had complicated their vision, they kept cultivating at home a Franco-Russian version of solidarity in keeping with their Japanese roots. Government propaganda in the United States created an image of the Japanese as monolithically inscrutable, die-hard fanatics of the Orient after lifting the ban in April 1945 on media reports about Japanese Kamikaze missions in the Pacific. The end of the war four months later did not bring about the end of the stereotype. As an antidote to the stubborn construct of the war, this case study will focus on the military history of Japan and Russia and their air battles over Nomonhan in 1939 and thereafter. The evolution of ramming missions, first in Russia and then in Japan, will be placed in a larger trans-national context involving Germany. More specifically, this paper will explore how Japan and Russia each shaped the other’s war in the air during the Nazi regime. A careful investigation of interactions among the three countries through military conflicts will help us explore not only how but also why East–West binalism persists in the American public. In the run-up to the Russian Revolution of 1905, the Combat Organization of the Socialist Revolutionary Party conducted a series of assassinations of representatives of the czarist regime, most famously the bomb attack on Grand Duke Sergei, governor-general of Moscow, carried out by Ivan Kaliayev. Boris Savinkov, the organization’s acting head at the time, recalls in his Memoirs of a Terrorist (1917) of a conversation with Kaliayev on the eve of the attack. In the event of failure, Kaliayev was playing with the thought of ending their struggle in Japanese style, having in mind Japanese soldiers who were said to have committed hara-kiri during the Russo-Japanese war. For Savinkov, this thought reflected Kaliayev’s frame of mind in the face of all pragmatic concerns of revolutionary conspiracy. The events served as an inspiration for Albert Camus’s essay “The Delicate Murderers” (1948) and his play The Just Assassins (1949), but Camus shifted the focus from pragmatic concerns to moral issues of revolutionary violence and altered the meaning of Kaliayev’s thought of suicide. In the early twentieth century, Russian and Japanese scholars’ research on the Ainu—the indigenous people of Hokkaido, Sakhalin, and the Kurils—was guided by questions of Ainu ethnogenesis and Ainu welfare. Russian anthropologist Lev Shternberg and Polish anthropologist Bronisław Piłsudski worked within an international network of researchers studying Ainu culture, bringing them into contact with Japanese scholars such as Torii Ryūzō, Kita Sadakichi, and Kindaichi Kyōsuke. They founded their research on rigorous fieldwork incorporating archaeology and linguistics—an evolution in both Russian and Japanese anthropology. They also struggled to address the role the Ainu would play in both Japanese national society and their ideas of a universal human society, adopting a progressive approach toward assisting or assimilating Ainu communities facing institutional discrimination and poverty. This paper examines points of contact between Shternberg, Piłsudski, and their Japanese counterparts up to the late 1920s to determine the extent to which their ideas on Ainu ethnogenesis and welfare developed in parallel or in mutual influence. 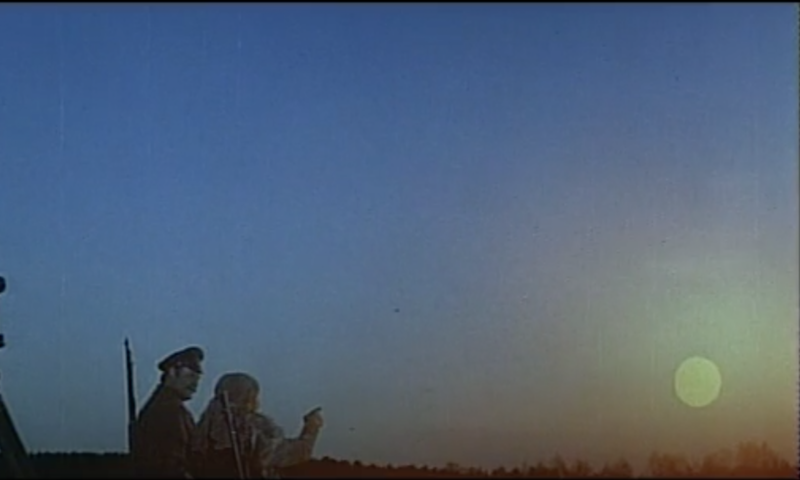 Kurosawa Akira’s Dersu Uzala (1975) represents one of the director’s many attempts to make his cinema into Japan’s entryway into the global community of nations. The price of the entry is the acknowledgement as well as forgetting of uncomfortable historical facts. A revisiting of Kurosawa’s film, set in Russian Siberia of 1902-1907, against the historical foil of the two world wars, reveals that this cinematic memorial to a Nanai tribesman silently acknowledges and laments Japan’s participation in the extermination of the minority peoples of the Manchukuo state and in the destruction of pre-industrial pan-Asian Siberia. filmmakers, critics, and audiences between 1925 and 1955, this paper argues that Realism was the constant concern of – and the chief moving force behind – Soviet-Japanese cinematic exchanges including mutual distribution of films, co-productions, and adaptations of specific cinematic techniques. Despite the major technological, ideological, and aesthetic changes undergone by both cinemas, Realism continued to be the key term used by Soviet and Japanese filmmakers in order to justify the need to learn from each other. What does this say about the nature of interactions between Soviet and Japanese cinema? To answer this question we will adopt the theory of “cultural dialogue” proposed by semiotician Yuri Lotman in order to argue for the reciprocity of cultural influence. We will consider how the interactions between the two countries correlate to Lotman’s idea of a “receiving” and a “transmitting” culture that, in the course of their dialogue, gradually shift their positions. Our major focus will be on the life and work of a prominent Japanese documentary filmmaker, Kamei Fumio, who studied in the Soviet Union, made use of Soviet montage to create Japanese wartime propaganda, and later himself became a source of inspiration for Soviet/Russian filmmakers including Alexander Sokurov. Tracing its lineage to a chorus formed within the Young Communist League of Japan in 1948, Utagoe gained prominence through the 1950s as a singing movement of national scale, giving birth to multitudes of choruses across prefectures and workplaces in Japan with the Japan Communist Party’s blessings. Utagoe’s formative years coincided with the return of former Japanese prisoners of war from Siberia (collectively termed hikiagesha or yokuryūsha), including those who brought with them Soviet songs and Russian folk songs that they had translated. With the influx of translated Russian and Soviet songs, Utagoe began to view Russian-Soviet music as a canonical model to emulate: like Russian composers since the late nineteenth-century, the Japanese people, too, must create music that is truly “popular” in origin and character. Between the 1950s and 1960s, Utagoe expressed such desire in terms of “national music” (kokumin ongaku) – a term dating back to the 1930s which acquired renewed significance as Utagoe’s cultural project against “decadent” and “colonialist” culture. Utagoe’s national music paradigm was a site of convergence in which the old question of “proper” modern Japanese culture was re-engaged in postwar contexts, seen through the Russian lens whose gaze ultimately returned to Japan. In Japan today, together with Haruki Murakami, who enjoys an enormous popularity (as elsewhere in the rest of the world), there is another best-selling author: Dostoevsky. A new translation of the novel The Brothers Karamazov, which can hardly be considered as a candidate for a best seller list, actually became a million-seller. Although Murakami is usually considered a “very American” Japanese writer, he himself, by the way, does not hesitate to say that he loves Russian literature and considers The Brothers Karamazov one of the greatest novels of the world which influenced him. With this in mind, in my talk I will discuss some salient aspects of contemporary Japanese writers who keep paying special attention to Russian literature and are actually influenced by it. It is well known to comparatists that Russian literature was one of the major Western literatures and played a crucial role in the process of the formation of modern Japanese literature in the era of Meiji, it has conserved its latent possibility to appeal to the Japanese readership and influence Japanese writers of today. The writers to be discussed in this context will include Kenzaburo Oe, Otohiko Kaga, Hiroyuki Itsuki, Natsuki Ikezawa, Haruki Murakami, Masahiko Shimada, So Kurokawa, Maki Kashimada, Fuminori Nakamura, and some others. A mention will also be made of the phenomenon of the popularity of Japanese culture and literature in contemporary Russia on the basis of some examples from contemporary Russian literature (Akunin, Pelevin, Sorokin, etc.). It is interesting to note that contemporary Japanese literature and Russian literature are mirroring each other’s national stereotypes and by doing so, they reveal one’s own problems and self-consciousness.